HxH Ep:01 Jaguardini plays Elephant Child from Elwood Madison on Vimeo. Sleeptalker Performs "Hobo 3" from Elwood Madison on Vimeo. 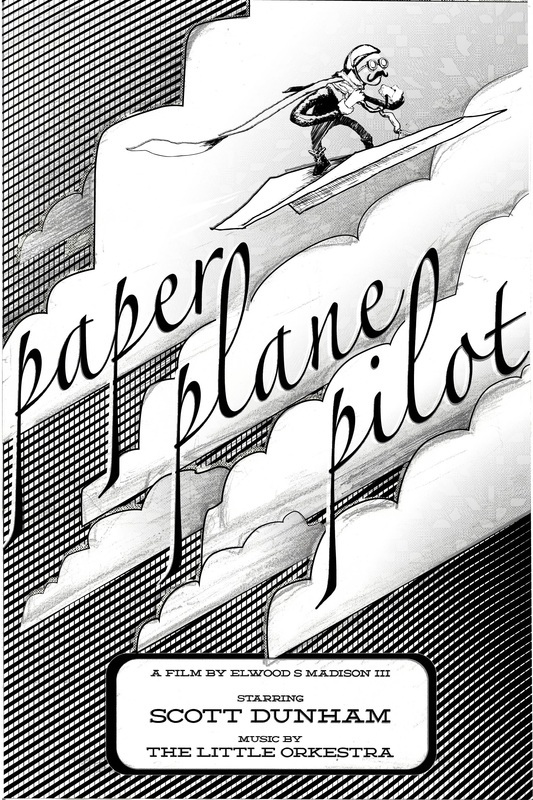 In accordance with The Supergr8 Film Festival rules, Paper Plane Pilot was Shot entirely on one cartridge of super8 film and completely unedited. The soundtrack was later created without access to the video. The first time any of us saw this film was opening night in the sold-out Court Square Theater in downtown Harrisonburg. Here it is, with no post-production, exactly how it was shown the first night.